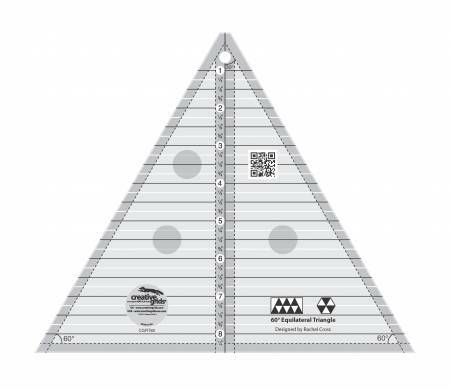 Cut 30 degree and 60 degree angles up to a height of 8in.Instructions included. Easy-to-read black markings every1/4in. Embedded Gripper Dots hold fabric while cutting.Exclusive line. Independents only. Made in the USA.